It’s the Sunday before Halloween, and time for our annual “Down for the Count” ride, where we ride out to Culver City to visit Bela Lugosi’s grave. Weather was perfect for riding. 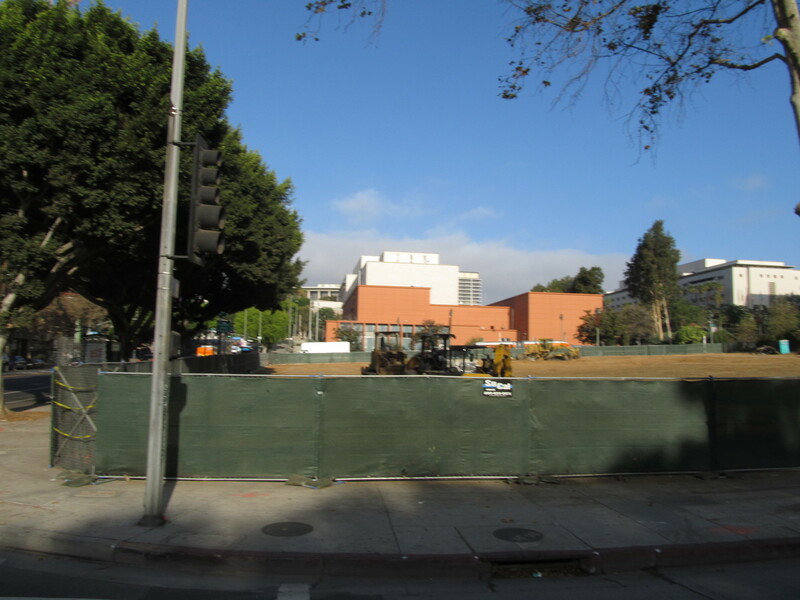 We started out heading into downtown L.A. We passed the site of the former state office building that was condemned and torn down after the 1971 San Fernando Earthquake. We visited this site a while back, when I read that they were finally going to tear down the foundation and put a park in its place. A few blocks south of there, we ran across the route of the Rock-n-Roll Half Marathon. They have it every year on this weekend, but for some reason, we never can remember about it when we’re planning this ride. 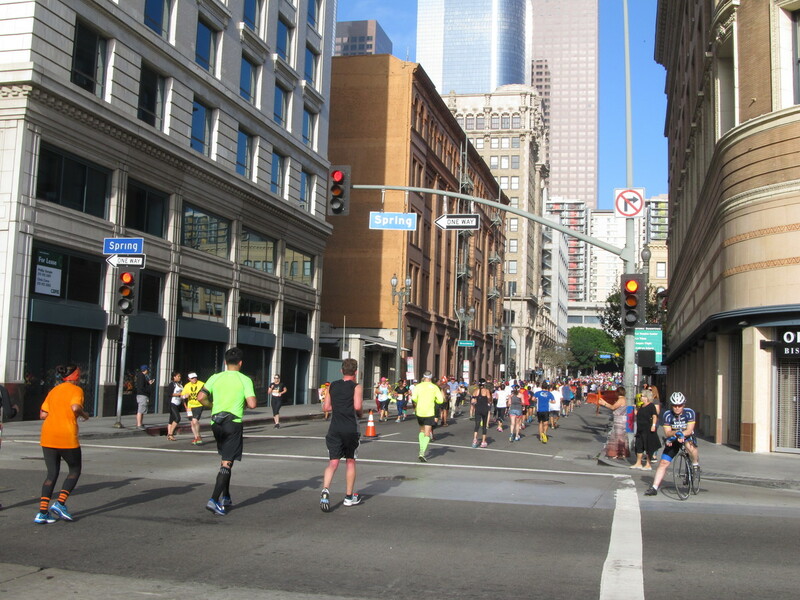 This time, we didn’t see anyone we knew running by, unlike in 2012. I got a flat on West Adams. It turned out to be from a small thorn that got stuck in my tire. That was the first flat I’ve had on the new bike. I fixed it, and we soldiered on. We saw the train at the Farmdale station when we passed there. I was paying attention to it this time, since I needed to get back early, and I was planning on bailing out and taking the train home to save some time. 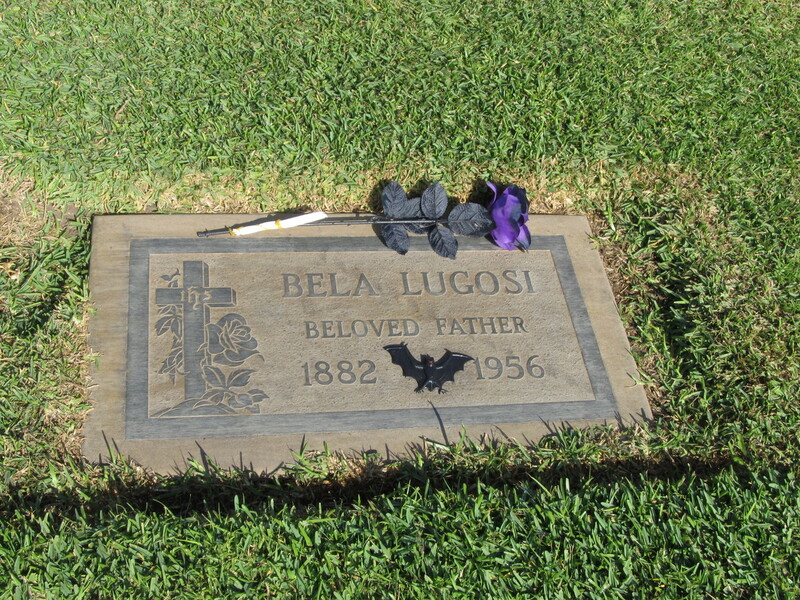 When we got to the cemetery, we went straight to the Grotto, where Bela Lugosi is buried. As always, someone had stopped by and decorated for Halloween. 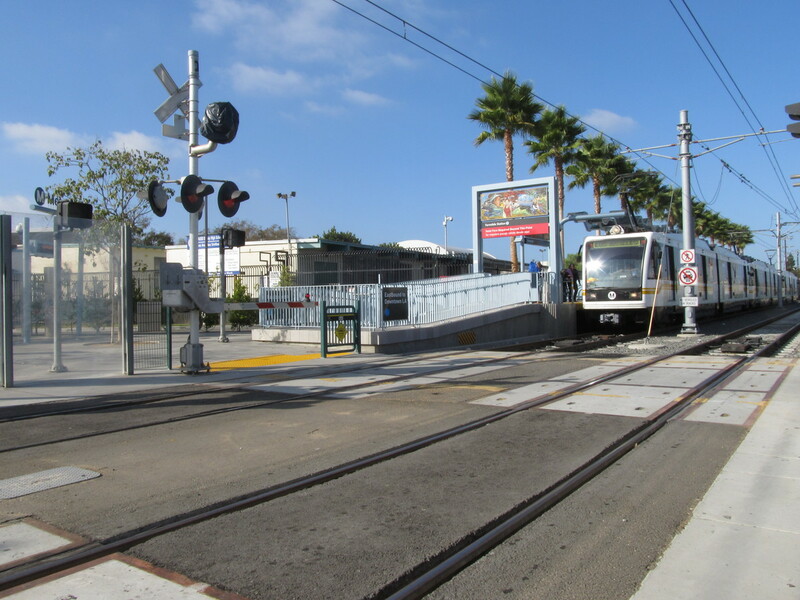 On the way back, I only rode as far as the Culver City Metro station. Then I got on the train and rode that back to Pasadena. This saved about an hour or so compared to riding home from there, and I still got in about 34 miles of riding.